Put together in association with turmeric experts The Golden Paste Company, this handy guide to retailing turmeric will give you all you need to know to store, sell and market the super spice. With its popularity growing make sure you can answer any customer queries that come your way! 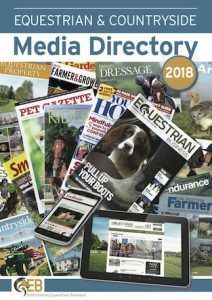 Packed with professional contacts from across the equestrian, countryside and marketing industries, this comprehensive media directory is all you need to ensure successful trading in 2018. This directory has all the tools you need to create the awareness and reputation your brand deserves.